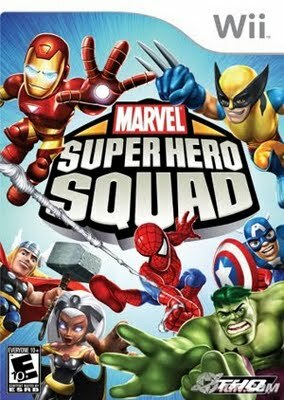 March 2011Give-a-way: Marvel Super Hero Squad (Wii) Winner! PAUILINE15!!!! You are our winner! Congrats!!! I will be contacting you shortly to get all the necessary info so that I can ship you your new game. Thank you all for entering and a special thank you to Alison for helping promote the give a way. Please make sure to check out her site, Being Alison, to take a look at all the good stuff that she is giving away. Many thanks friends and hope you guys stick around for the April contest which will be revealed on April 15th! Later! Man, i was close. oh well maybe next time.